Can you imagine nearly 500 early educators in once place together? That’s what you’ll see at EarlyEdCon 2018! 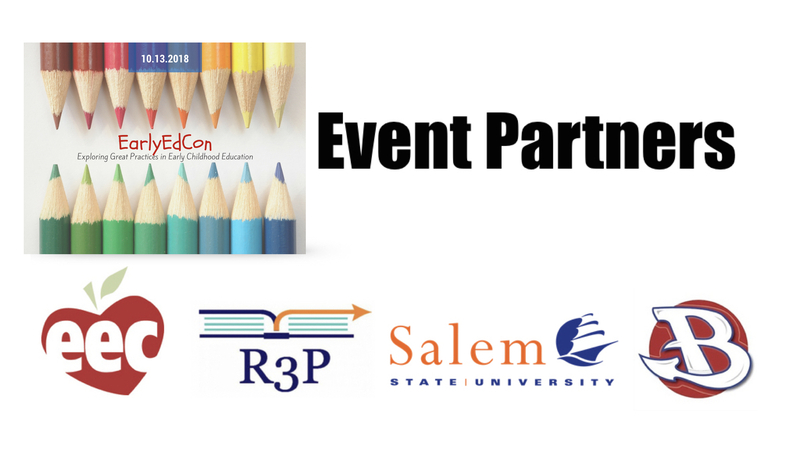 The organizers of EarlyEdCon would like to invite your organization to participate as a sponsor for our fourth annual conference on October 13, 2018 in Burlington, Massachusetts. Following the tremendous success of the previous three EarlyEdCon events, we are once again bringing together nearly 500 early childhood and out-of-school time (OST) educators and administrators from around Massachusetts. The focus of our event is to introduce and showcase ideas and best practices for creating an outstanding early childhood or OST program. Presentations throughout the event will demonstrate the effectiveness of this type of learning environment and promote new and emerging tools for creating dynamic educational opportunities for young children. Our event is free for participants and is a great opportunity for all stakeholders to experience effective childhood learning programs and practices. We will be providing lunch for all participants. As an event sponsor, your organization will be highlighted to all participants during the event and through the event website. Participants will have opportunities to shop at your table in the morning, at lunch and between workshop session. Sponsors may also provide prizes or product samples for the attendees of the event.